Vasant Purushottam Kale was 69 years, 3 months	& 1 day old age. Vasant Purushottam Kale was born on 25-03-1932 in Maharashtra, India. He was an Indian Writer, Architect & Novelist. Vasant Purushottam Kale is better known by the name, Va Pu. Va Pr was a well-known Marathi writer who has written novels, short stories, and biographical sketches. In his illustrious career as a writer, he has authored over 60 books and all of them were the master piece. Some of his most notable books include Vapurza, Partner, Thikri and Hi Waat Ekatichi. V.P. Kale was originally an architect. His writings were highly inspired by the philosophy of Acharya Rajanish. He was arguably one of the most noted story-teller this country has ever produced and in his career had performed in theatres in over 1600 stage-shows. He was India’s first story-teller who came in form of Audio Cassettes. 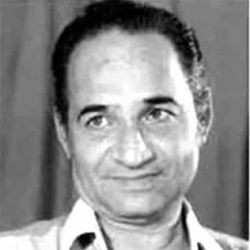 Vasant Purushottam Kale died on 26-06-2001 in Mumbai, Maharashtra, India. He died of heart failure at his home.